The offer of fans from EBM-PAPST has been enriched by axial 12 V DC and 24 V DC fans. 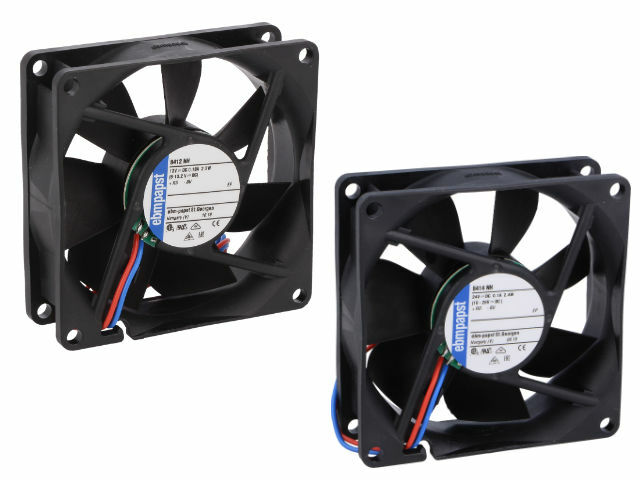 These fans are made of plastic and are available in various sizes from 40 x 40 mm to 119 x 119 mm. They have durable ball bearings and frames of various thickness. Check out the new fans from EBM-PAPST.